North Korea is continuing to signal an unprecedented positive shift in attitude towards South Korea this week as musical artists from the South traveled to Pyongyang for a series of events. Kim Jong Un surprised observers by personally attending the Sunday performance, and while the South’s journalists were prevented from covering the event from the audience, Director of South Korean Affairs and Head of the United Front Department Kim Yong Chol made a rare apology for the decision. Kim’s attendance marks the first time a North Korean leader has personally viewed a performance by South Korean artists. An apology by a high-ranking North Korean official to members of the South Korean press is also an extraordinary occurrence. Both of these actions may be considered signs that the North does not wish to disrupt the progress made in this year’s inter-Korean thaw. Another remarkable aspect of Kim’s attendance came after the concert when he personally greeted and shook hands with each of the performers. He even made a surprise suggestion that since “the South [Koreans] performed ‘Spring is Coming,’ let’s play ‘Autumn Has Arrived’ in Seoul this fall,” implying that he is in favor of organizing another North Korean performing arts delegation to the South later this year. Many observers believe these moves are part of a strategy by the North to make larger changes to their country. The idea is that mending relations with the South will convince the international community to lift sanctions, allowing more international cooperation in order to fix their ailing economy. It appears that South Korea is their first target for improved relations, which they intend to use as leverage towards improving relations with the United States, whom they see as the key to getting sanctions lifted. The announcement by North Korea late last year that they had ‘completed’ their nuclear program may be considered their opening move in their expected negotiations with the US. 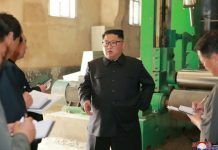 Kim Jong Un reportedly told the South Korean delegation visiting Pyongyang last month that there would “be no reason to keep nuclear weapons as long as the security of our system is guaranteed,” lending support to the theory that ‘completing’ their nuclear program was always meant to force the other side to take them seriously in negotiations. Both experts agree that North Korea’s fundamental strategy rests upon potentially groundbreaking improvements in inter-Korean relations, and that the North sees no limit to the developments as long as the Kim regime’s power is guaranteed by the South. 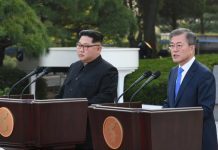 There are worries, however, that the two sides will reach a stalemate at some point in the process as the North faces political consequences for going too far towards opening or meeting the demands of the South in negotiations. As both sides move towards greater cooperation, the potential for unwanted influence over the North Korean population will rise. This may represent a red line for the Kim regime, which considers the preservation of its current political system the utmost priority. 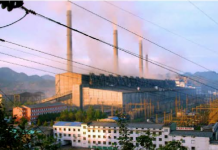 While it appears that inter-Korean relations are on their way towards a radically positive change, the North’s political priorities may once again prove to be the biggest limitation.